The crossover of our dreams! Candice King will reprise her Vampire Diaries role as fan favorite Caroline Forbes in the season 5 premiere of The Originals, TVLine reports. No further details about King’s cameo, which is slated to premiere in 2018, were provided. It is unclear if she will appear in multiple episodes. Entertainment Weekly also confirmed the news. 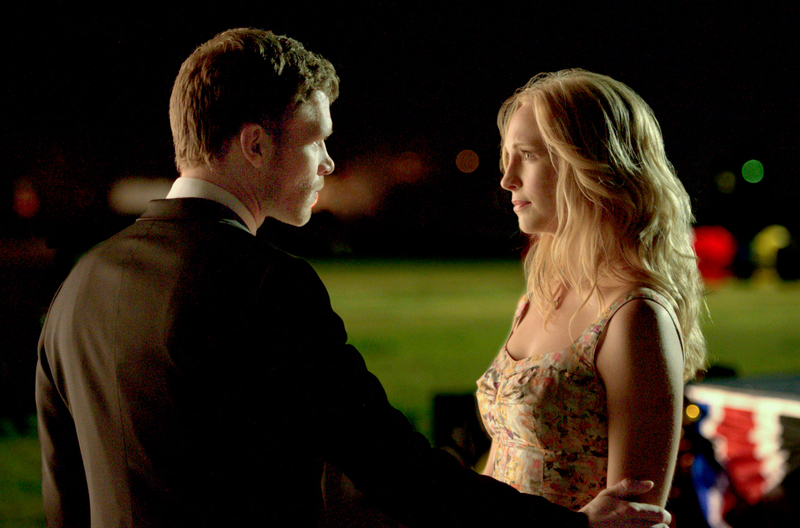 Caroline has a complicated history with The Original‘s Klaus Mikaelson, played by Joseph Morgan. The characters had a tumultuous romance in seasons 3 and 4 of The Vampire Diaries, which aired for eight seasons on The CW from September 2009 to March 2017. They later reunited over the phone in season 7, and the series finale found Klaus donating a generous $3 million to the supernatural Salvatore Boarding School that Caroline and Alaric Saltzman (Matthew Davis) founded. The season 4 finale of The Originals seemed to hint at a crossover too, as viewers saw Hayley Marshall-Kenner (Phoebe Tonkin) and Klaus’ daughter, Hope, attending Caroline’s school for gifted children. Tell Us: Are you excited to see King on The Originals?